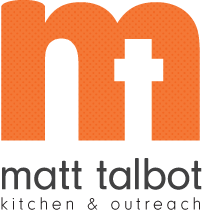 Matt Talbot Kitchen & Outreach, a leader in providing compassionate services to the homeless and near homeless for more than 25 years, has a bold vision to defeat hunger and homelessness in Lincoln. Efforts to achieve this vision occur through established prevention programs and newer initiatives such as the Homeless Diversion Program launched this year. These comprehensive services allow clients to address hunger, housing, substance use treatment and recovery – ultimately getting the community closer to ending homelessness. A critical service offered by Matt Talbot is the Transitional Housing Program which helps individuals move from homelessness and addiction to a stable living environment. Intensive case management and substance use counseling focused on relapse prevention work in tandem to assist residents in maintaining sobriety, accessing services, securing employment, and becoming productive members of the community. In a 2 year period ALL graduates from Matt Talbot’s Transitional Housing Program successfully maintained their housing and did NOT return to homelessness!